Often you’ll hear that self-employed people, like consultants and freelancers have true grit. Fast-track schedules, short-term projects, and being adaptable to work in different client environments can put others into a tailspin. More than grit is needed now. What is a gig anyway? Gigs have been traditionally thought of as a rock n’ roll band performance. 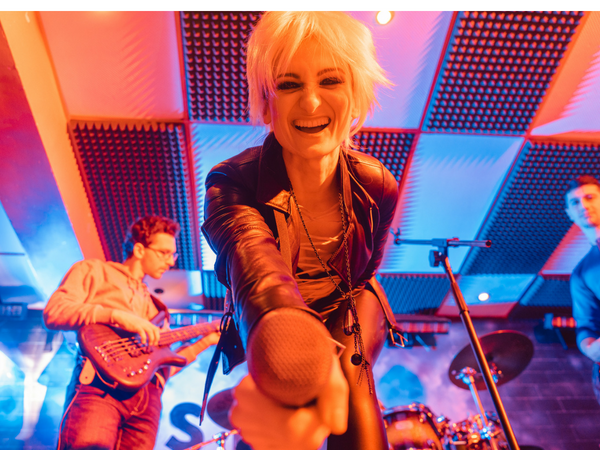 In modern times, a gig may be a team’s website design project, an executive coaching contract agreement, or an hourly English tutoring service. Skilled independent contractors like consultants and freelancers, whether as a full-time or part-time gig. These gig workers fill needs for services and project-based professional requirements in all areas of the company. As a gig worker, it is well known that job continuity on any gig is uncertain and the pinnacle of why the gig life isn’t for everybody. “It’s like a roller coaster,” said a consultant friend, who has several clients beckoning for her biotechnology writing services, or at times the influx of client work slows down. The advice I offer anyone is to ask yourself, is the gig life for you? An interim gig can help you explore different jobs until you find what you’re looking for. Some people work in gigs their entire career, like graphic designers, freelance writers, and well, entrepreneurs, taking financial risk to develop a meaningful product or service that will make a difference. This notion of financial risk appears to affect everyone that power the gig machine. In an interview below with Crystal Coates, Business Development Manager employed with Yoh, a Day & Zimmerman Company, whose business is staffing and is headquartered in Philadelphia with 150 offices coast to coast offered some insights in what she sees in her business. 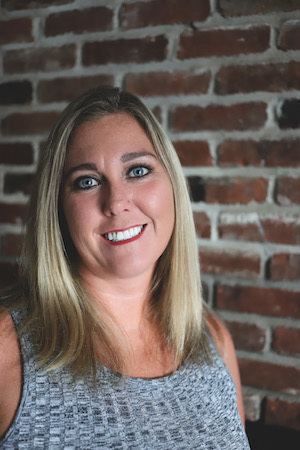 Crystal is a 10-year veteran in recruiting and now manages business development in Yoh’s Kansas City office where she continues to work closely with clients. Despite the rigors of the gig life, stories are told of people starting a new chapter in their work career, or perhaps it’s their life calling to live the gig life because it gives them greater freedom to work with any organization they want, but at the same time, they have to conform to an environment that may not be what it seems. Q. Do you think some people are better suited to gig work than others? A. Yes, the gig worker has to conform like a chameleon, which means a person has to adjust to suit the needs of its environment, fitting in with different types of surroundings and conditions. The gig worker has to adjust to work with different personnel and personalities, and company cultures. Gig workers love the idea of not being tied down to one company. But they need to be organized, especially self-employed contractors, to take care of their own taxes and benefits as well as fulfill the needs of their clients. Not everybody wants to do all of that. For example, I don’t want to worry how much I’m holding back for employment taxes. I’ll let my employer do that. Some gig workers may work on multiple projects, like a freelancer. Graphic Designers, for example, typically are working on assignments for various clients at one time – they can be doing a website re-design for one company and coming up with social media posts and branding for another. Very different requirements and timelines. It is important for anyone to stay organized, meet deadlines, and not take on too many clients. What can happen is the work products can become mediocre. What if the person can’t do a project due to time constraints or capacity? Eventually the ball is going to drop. Some people have gotten into the freelance world and then only see it is not for them. Q. What advice can you give a contractor to better prepare for a project? A. With any of our contractors, I advise them to learn about the company, understand the project, and ask lots of questions on the front end before getting hired. Understand the parameters of the assignment, the expectations, timelines, duration, and so on. Know who are the level of employees you’re going to be working with. Are you going to be expected to be working in a team environment? Ask any question you can think of that you need to know on a day-to-day basis. Make sure the project is going to be a good fit. Do your homework. Try to see what kind of environment that you’ll be working in and what other people say about the company. It has got to be a win-win feeling on both sides of the fence. Q. When do you see the win-win come together? A. It is a balancing act. There is no perfect contractor or client. When I have a contractor calling me saying she is happy I’ve connected her with a person or sometimes the company, or the project is going great, and then the message is reciprocated on the client’s end, I know I’ve done my job.